If you are on a low carb diet, knowing exactly what all those numbers and words mean on food labels is critical. Even if you’re not on any particular dietary strategy, reading and understanding food labels helps you know what you’re getting yourself into when you buy food, and you’ll be able to make more informed choices when deciding which foods to buy. In South Africa, we’re lucky to have strict food labelling regulations and food label laws that inform and somewhat protect consumers from misleading claims made by manufacturers . These make it easier for us to understand exactly what we’re buying and eating. You need to be careful though because manufacturers have found clever ways of sneaking in additional ingredients, that passes as something other than it is, on food labels. The nutritional analysis table shows how much energy, macronutrients (i.e. carbs, protein and fat), fibre and micronutrients (i.e. vitamins and minerals, including sodium) are in that particular food. The nutritional table should give you this information in two columns – one with per 100g and the other with per serving (AND it should indicate the serving size). This section is very important when you are on a low carb protocol and especially when you are tracking your macronutrient consumption. To determine if a product is in itself low carb, always look at the figures in the ‘per 100g’ column because the serving sizes differ from one food to the next. Low carb is considered less than 5g of carbohydrates per 100g. Still fairly low carb (if you are not being ultra low carb) is up to 10g or carbs per 100g, but then you need to start looking out for total consumption as you might start having some carb creep in your diet. 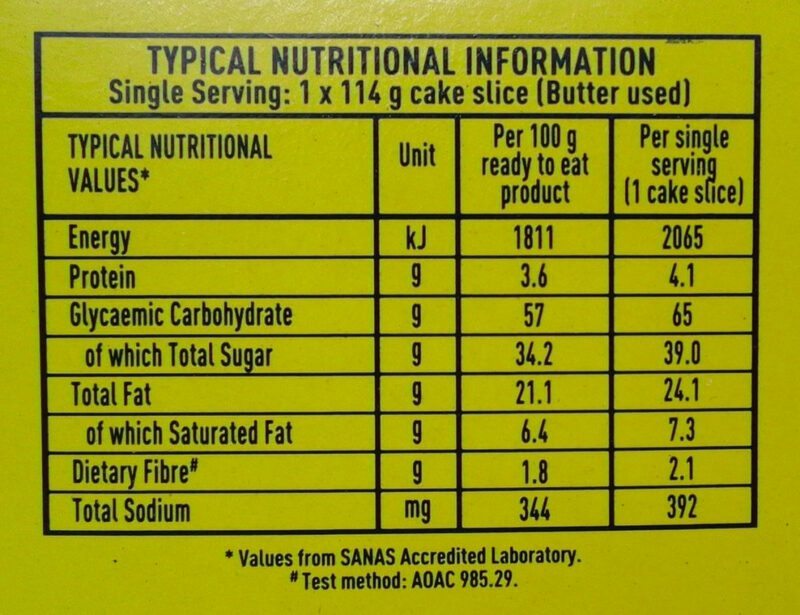 Having said that, its also good to check the ‘per serving’ column, too. A food may look like it’s low carb because it has less than 5g of carbs per 100g, but if the serving size is 250g, then you’ll get far more than 5g of carbs per serving. Are you feeling tempted by that goji berry and almond bar? Check the ingredient list and you may be disappointed to find that it doesn’t have a lot of goji berries or almonds in it. A lot of snacks that look “healthy” contain hidden sugars, fillers and chemical products. Manufacturers are required to list their ingredients in order of descending weight, so if sugar is first on the ingredients list, you’ll know that there’s more sugar than anything other single ingredient in that food. Sugar also has several names that you might not outright recognise, which can be deceptive. Other words for sugar include: glucose, sucrose, high fructose corn syrup, fructose, golden syryp, honey, cane sugar, maltodextrin, molasses, and malt syryp to mention a few. The below table will help you understand how to quantify some of the claims made on food packages, so you can compare what the front of the packet advertises, to what the nutritional analysis reveals. What exactly is sugar free? Only foods that have less than 0.5g of sugar per 100g can claim they are sugar free. You do however, need to be aware that some manufacturers replace sugar with sweeteners, such as aspartame, to make up for lost flavour. So ‘sugar free’ doesn’t necessarily mean ‘low carb’. What does ‘no added sugar’ mean? Strangely enough, this does not necessarily mean that the product is sugar free or that it is low in sugar, just that no extra sugar has been added to it. In some cases, the actual product contains so much sugar by itself, that no added sugar still does not result in it being low carb. In South Africa, if a label makes the ‘no added sugar’ claim it can’t contain syrups like honey, molasses or even fruit juice concentrate. What does ‘reduced sugar’ actually mean? The word ‘reduced’ doesn’t necessarily mean low. That reduced snack you are looking at isn’t necessarily low in sugar. The food label laws say labels that make comparative claims, like reduced, must also describe the kinds of food and the amounts they’re comparing (like a cup of double cream yoghurt and a cup of fat-free yoghurt) and list the value of the difference — which must be at least 25%. In essence, don’t be deceived by food labels. Learning to read and understand food labels is an essential part of managing your health. This is especially true on a low carb diet where carbs can creep in and results in stalls to the acheivements of your goals, without you understanding why. Don’t believe the claims made by manufactures on the packaging, and rather evaluate with care the ingredients list anf the nutritional analysis table. 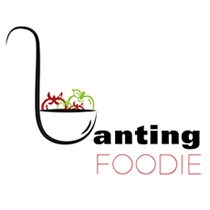 Whne in doubt, rahter leave the packaged food and opt for foods that don’t require food labels (such as meat, eggs and green veges).